On Friday 22nd June I returned to my old school – Cheney, Oxford. 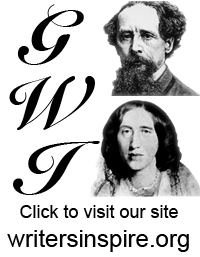 Accompanied by fellow student ambassador Kate O’Connor, I introduced A-level English students (year 12, going on 13) to http://writersinspire.org/, discussed my ‘great writer’, and received some really useful feedback on the website. From a personal point of view, it was great to see how the school had progressed since I left (ten years ago!). When I was there, we just had a couple of computers in the library – now there are around 30! The librarian and teachers are very keen to use online learning resources where possible; they were very interested to find out what http://writersinspire.org/ has to offer. This blog post will concentrate on students’ views of the website. I’ll be writing a follow-up post on the teachers’ responses. The students’ feedback focused on seven main areas: usability; layout; writers; themes; ebooks; podcasts; essays. Below, I have transcribed a list of direct quotations from the students. Before you read the list of students’ quotes, I’d like to point out that we’ve already acted upon some of their suggestions. For example, as requested by Cheney, both Oscar Wilde and Thomas Hardy are now in our writers list. Unfortunately, it doesn’t look like we’re going to be able to move forward with George Orwell – he’s still in copyright. We’ve also improved our search functionality; if you search for ‘pastoral’, for example, you now get two pages of search results showing all of the items which include the word ‘pastoral’. Fantastically interesting: thanks for doing this. No problem. It was a really fun and informative couple of hours.